A DB Class 152 locomotive pictured in 2006. 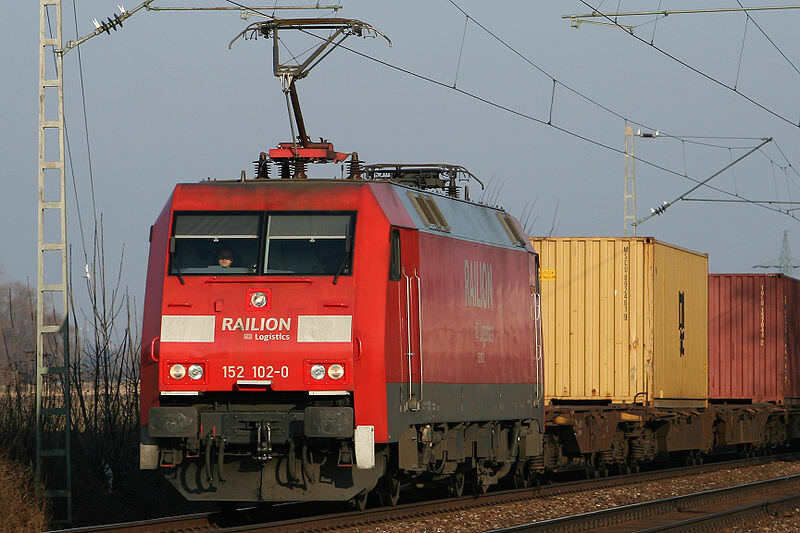 Railion is now a part of DB Cargo. Credit: Sebastian Terfloth. DB Cargo has taken a step closer to achieving its 2020 goal of fitting 2,000 trains with diagnostic technology following a new deal with Siemens. The freight operator currently has predictive maintenance technology on 1,000 trains, which provide information about the condition of the vehicles. Under a near deal with Siemens, its fleet of Class 152 electric and Class 170 and 191 Vectron locomotives will be upgraded and transformed into what DB Cargo calls ‘TechLOKs’. Based on those telematics units installed in locomotives, DB Cargo uses the TechLOK system to collect, visualise and process diagnostic readings, regardless of where they are in Europe. Rather than be dictated by a certain amount of milage or duration of time, maintenance will now be conducted when the data shows it is needed. The contract covers not only connecting locomotives to the TechLOK system but also joint activities on developing data analytics models based on the technical insight the locomotive sensors provide. DB Cargo CEO Jürgen Wilder said: “Our fleet digitalisation activities have one main focus: further improvements in quality for our customers and optimisation of the vehicle value chain. “The TechLOK system already comprises almost 1,000 locomotives operating on international routes.